Barcelona, 26th of July 2012 – ADELTE, the world leading designer and manufacturer of sophisticated Passenger Boarding Bridges (PBBs) for cruise and ferry terminals, will design, manufacture and install two PBBs to replace the existing Passenger Boarding Bridges at Cape May and Lewes. With the aim of significantly improving their installations, Delaware River and Bay Authority will modify the two main berths in both terminals. JPC has been contracted to carry out the overall work on the berths where ADELTE’s Passenger Boarding Bridges will be operating. ADELTE’s specific challenge in this project is to ensure that a ship can be docked in both sides of the berths. The uniqueness of this double docking fits perfectly with ADELTE’s philosophy about designing tailor-made solutions for every port. This challenge, proposed by the two easternmost ports of Delaware Bay, has led to ADELTE designing two THALASSA PBBs, each with a single tunnel and two cabins facing in opposite directions, so that docking on both sides of the berth is completely possible. Aesthetics has also been taken into consideration, making the PBBs fit in with the environment and the architecture of the terminal building, so that they form part of the building itself, with the same finish on both ceiling and glazing. The innovative design will improve logistic operations at the terminal, ensuring continuous passenger flow and the necessary space at the berth for feeding and mooring the ships. The two units will enable the comfortable and safe embarking and disembarking of passengers and will automatically follow the ships’ movements. All the elements are designed to ensure that passengers start their trip with a safe and comfortable embarkation. The two boarding bridges will be manufactured at ADELTE’s facilities in Monzón, Spain. They will be transported in different subassemblies from the port of Barcelona to Willmington. The assembly will be carried out by JPC Group Inc. of Blackwood, New Jersey and ADELTE. 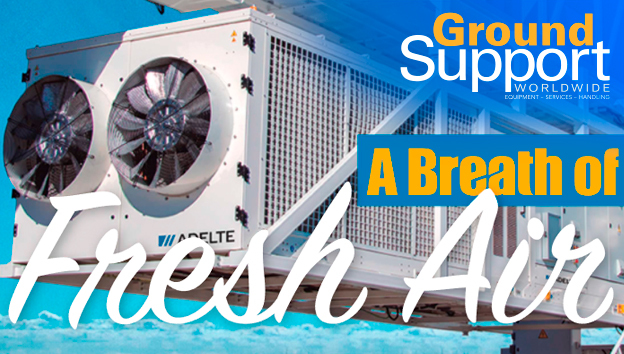 These are the first two units that ADELTE will install in the States, exclusively for ferry use. With this project, the Barcelona-based company reinforces its presence on the East Coast, with PBBs in Brooklyn, Manhattan, Baltimore, Norfolk, Port Canaveral and Miami.